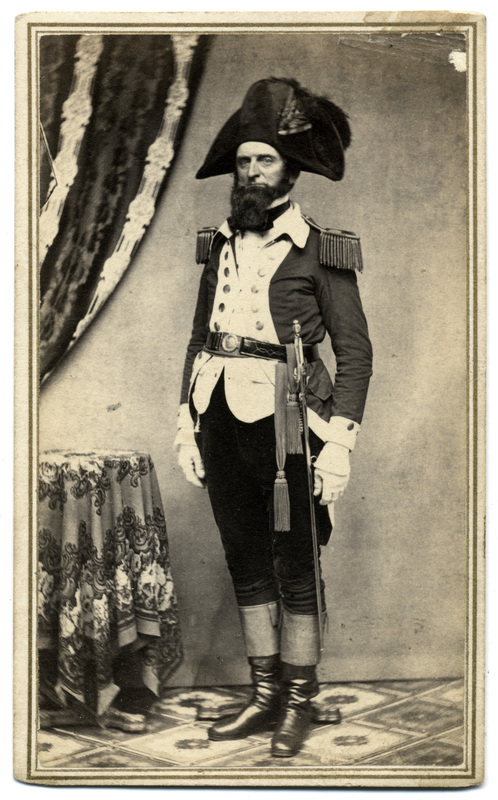 I recently acquired this compelling image of Dr. James H. Crombie, a physician in Derry, N.H. At first glance, one might conclude that Crombie dressed as a Revolutionary War soldier for a costume ball. The uniform, however, was no costume. It was the official attire of the Amoskeag Veterans, a militia company organized in Manchester in 1855. Their uniforms were inspired by the Continental Army that had fought the Revolution 75 years earlier. 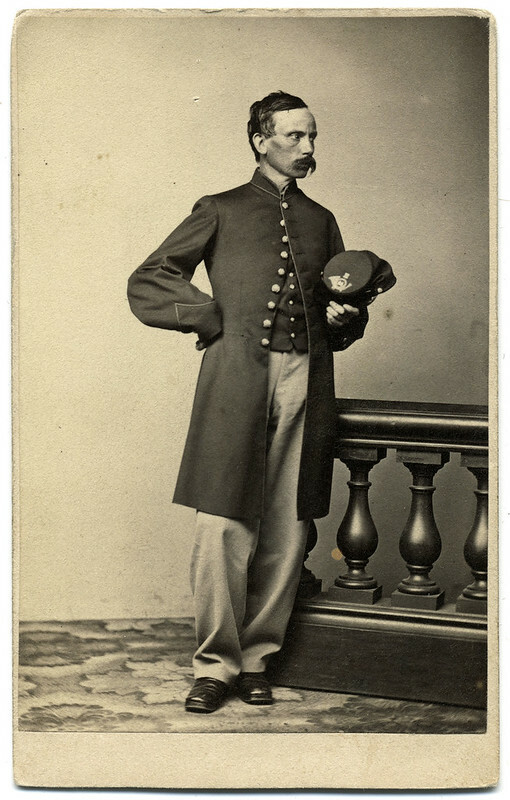 Crombie left the Amoskeag Veterans during the Civil War to serve a stint as a contract surgeon in the Union army. One assumes he left this uniform at home. The following details about Crombie and the Amoskeag Veterans are posted on Flickr, Tumblr and Pinterest. An 1838 graduate of Dartmouth Medical College, Crombie (1813-1884) served as assistant surgeon in the Amoskeag Veterans, an independent militia company organized in Manchester in 1855. According to a local historian, “The objects for which it was organized were designated by the constitution to be military parades, the protection of life and property, the preservation of the peace and social enjoyments. Its first parade and ball occurred February 22, 1855.” The statement supports the dual role of militia from this period as social fraternity and military organization. The Amoskeag Veterans wore distinctive uniforms inspired by the Continental Army that had fought the Revolutionary War 75 years earlier. 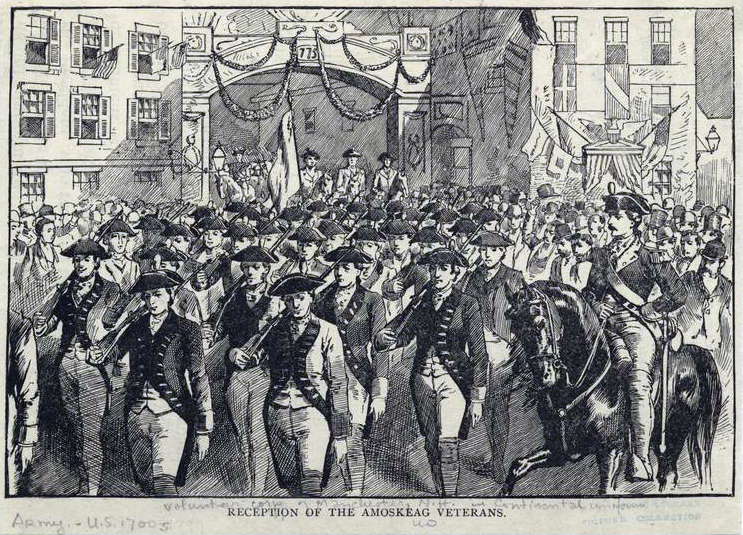 In this undated print in the collection of the New York Public Library titled “Reception of the Amoskeag Veterans,” the distinctive uniforms of the militiamen are plainly visible. 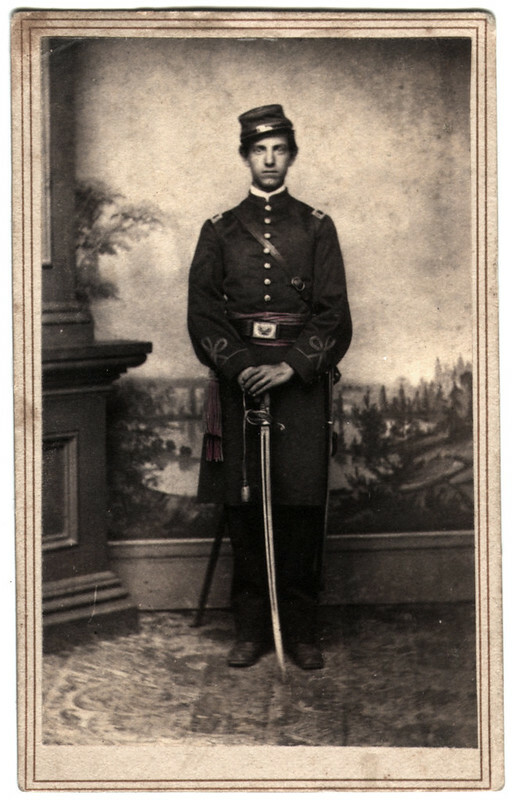 Crombie posed for his carte de visite portrait wearing what may be the full dress uniform, complete with gloves, bicorn hat, and a sword and sash. In 1862, the New Hampshire Adjutant General reported that the ranks of many militia companies had been reduced due to high volunteer rates in new regiments organized to fight the Civil War. Other militias had been completely abandoned. The Amoskeag Veterans, however, continued to maintain their organization. Crombie numbered among those who left the militia to participate in the war. 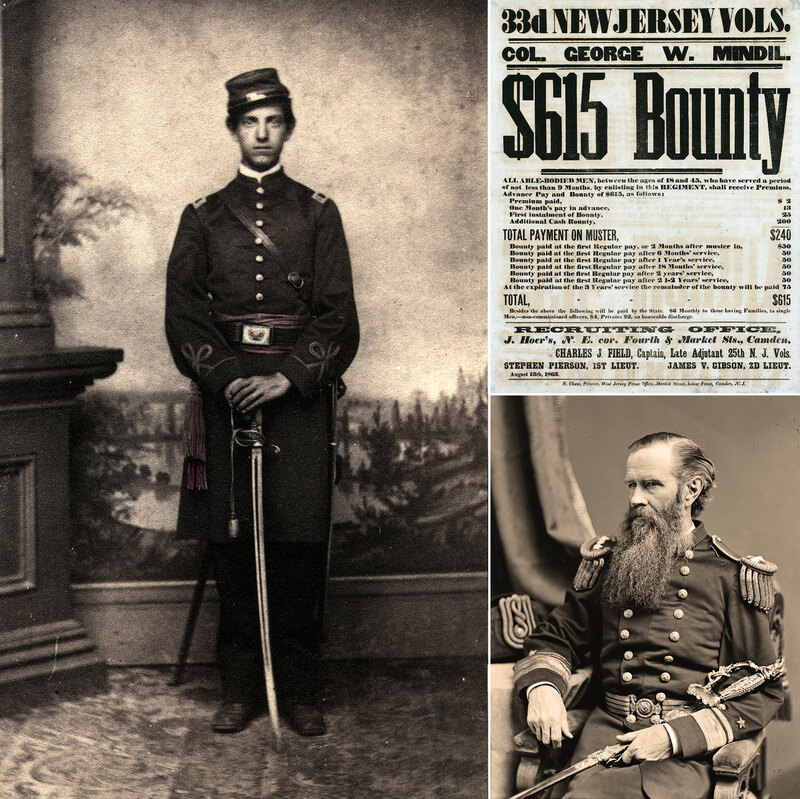 According to the History of the New Hampshire Surgeons in the War of the Rebellion, he entered the army as contract surgeon in 1861, and was on duty in the vicinity of Fortress Monroe, Virginia, until 1864.” Another source notes that Crombie did not become a contract surgeon until after the Battle of Petersburg in 1864, and served as such for several months. Contract surgeons were hired by the U.S. War Department to bolster the ranks of commissioned surgeons, and were considered civilian personnel. Crombie returned to New Hamshire after his stint in the army, and resumed his place in the Amoskeag Veterans. He died of heart disease in 1884. 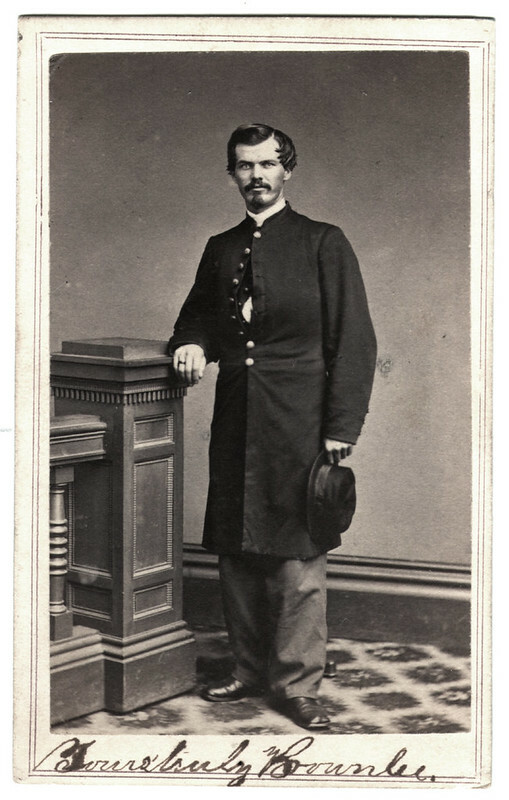 Now available on Pinterest, Tumblr, and Flickr is this circa 1865 carte de visite of Irish-born James Brownlee. Brownlee lived until age 62, dying after he suffered a stroke in 1904.